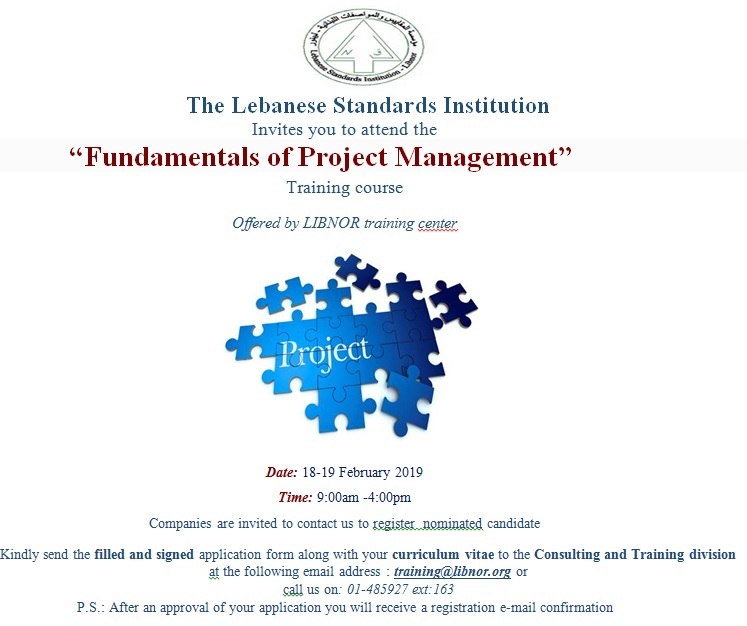 The Lebanese Standards Institution (LIBNOR) is the national standards body (NSB) of Lebanon. It also acts as the focal point for Lebanese Standards and Technical Regulations, and represents Lebanon in regional and international Standardization-related activities. Libnor is also the National Member body of the International Organization for Standardization (ISO) and of the Arab Industrial Development and Mining Organization (AIDMO), and will very soon represent Lebanon at the International Electro-technical Commission (IEC) in cooperation with the Order of Engineers and Architects of Lebanon (and others), and will assume the Secretariat of the Lebanese Electro-technical Commission. Libnor was established by a law issued in 1962, and has developed since then a large number of standards related to various sectors including food, construction, bio-medical, chemistry, and others. Ensuring stakeholder participation from both the Private and Public sectors in drafting Lebanese Standards. Wider adoption of International and Regional Standards ISO, IEC and EN. Increasing participation in standardization activities at the regional and international levels. Timely delivery of Lebanese Standards that meet stakeholder current and future needs based on priorities set by the BOD. 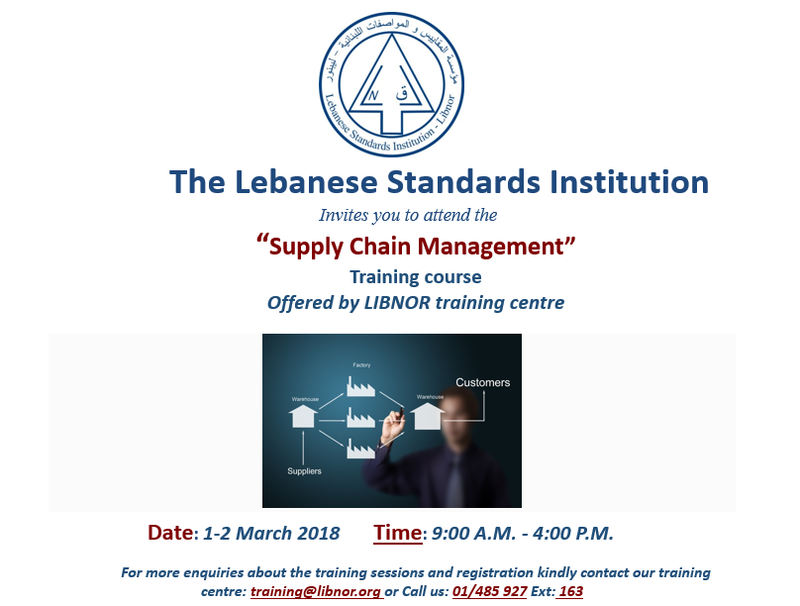 Greater awareness for usage of Lebanese Standards in Technical regulations and by government and private sectors and consumers in procurement, trade, production, manufacturing and provision of services. Promoting the NL Conformity Mark to ensure product compliance with Lebanese Standards. Increasing cooperation with Lebanese Universities in Standardization activities. Standardization has become an important factor in the decision making field, for the public at large and at the individual level, to help maintain our well- being. Standardization has also become a critical business issue to the industry and to the Nation as a whole, aiming at maintaining competitiveness in the markets. Greater awareness with regard to standards and quality is vital nowadays. Substantial benefits can be derived from applying Standards, some of which act as safety and preventive measures against injuries or death, while others specify the minimum level of quality, reliability and performance that are required in goods and services. Some ensure that products are designed to work or fit for purpose and others help reduce unnecessary variety in commercial products. I have witnessed the huge progress of Libnor since the Government issued its decision to re-activate this institution in 1998, and more specifically since 2006. I feel so proud when I notice the level of professionalism that the team has reached when conducting presentations and when intervening in National and International conferences. Finally, I would like to congratulate Libnor’s team who worked very hard to prepare and implement this new revamped website and I would like to extend my gratitude to all Libnor staff who succeeded in elevating Libnor to the position it deserves nationally and internationally, despite the so many obstacles they face daily.